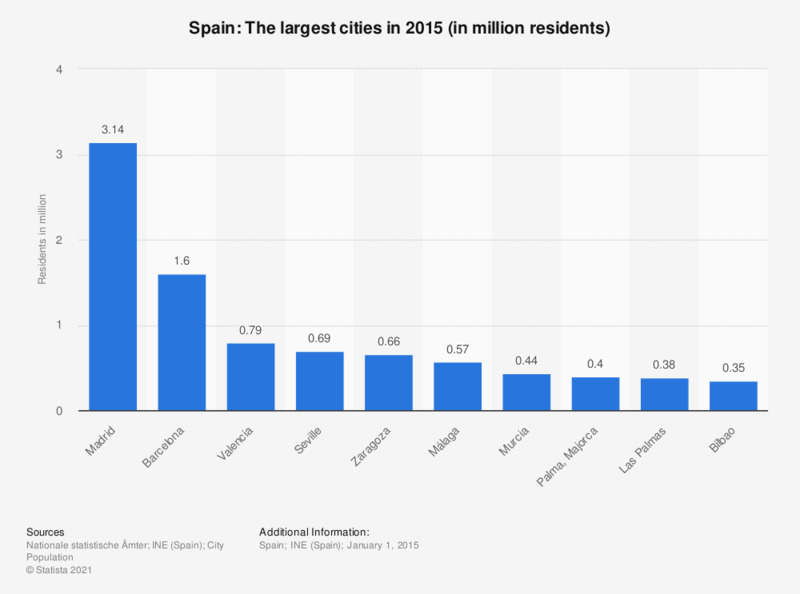 The statistic depicts the ten largest cities in Spain in 2015. In 2015, Madrid had around 3.14 million residents which made it the largest city in Spain. According to the source, data include urban areas only.